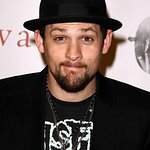 Joel Madden is a member of Good Charlotte, and the brother of Benji Madden. Madden, with wife Nicole Richie, created the Richie Madden Children's Foundation in support of disadvantaged young mothers and children. Madden was announced in 2008 as a UNICEF goodwill ambassador. Google trends for "Joel Madden"